A delicious, simple to make and easy muffins for any occasion especially during special occasions like Christmas. 1. Whisk the egg in a bowl. 2. Add the honey and vanilla extract. 3. Gently add the olive oil and mix well. 4. Separately, mix the wheat flour, maida, soda bicarb, baking powder and salt. 5. Pour this into the honey mixture and mix well. 6. Add the yogurt and raspberries. 8. Finally, add the pistachios and mix. 9. Spoon the mixture into a muffin tray lined with paper cases. 11. 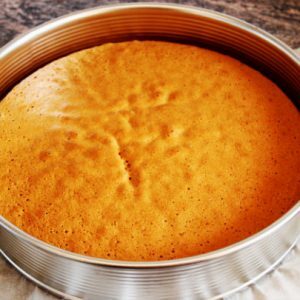 Bake for 10 minutes. 12. Reduce the temperature to 180Cc/360F and bake for another 15 minutes or until a skewer inserted into the center comes out clean. 14. Serve as a snack or as a dessert. 15. Any excess can be stored in an airtight container. 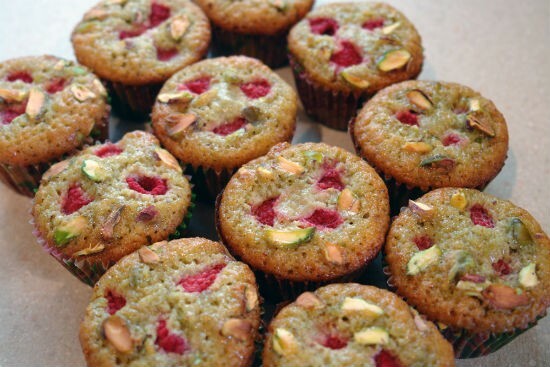 Feel free to comment or share your thoughts on this Pistachio and Raspberry Muffins Recipe from Awesome Cuisine.